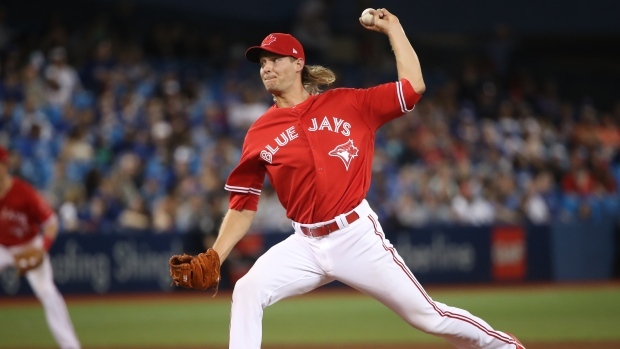 The Toronto Blue Jays have optioned Matt Dermody to AAA Buffalo, one day after giving up two home runs and five runs in a third of an inning pitched in Sunday's 11-4 loss to the Baltimore Orioles. It was Dermody's only appearance of the season, after he was called up ahead of Sunday's game to take the injured Aaron Sanchez's spot. A corresponding move will be made Tuesday ahead of the team's game against the Boston Red Sox. Dermody appeared in five games with the Jays last season, finishing with a 9.00 ERA. The Jays didn't provide an update on JA Happ, who left Sunday's game in the fourth inning with elbow soreness.